Although its name may suggest differently, the Willex Bisonyl Compact is a super strong hit with a medium size that lets you transport all your heavy things without problems. It's made from two-sidedly coated bisonyl and therefore 100% waterproof. This double cyclebag has two hard bottom plates. It's also equipped with reflection panels, so you're more visible in the dark. So it's a whacking good cyclebag! Fast and easy to mount No tools needed! The Willex Bisonyl Compact is equipped with the patented clasp hooks the Willex brand is known for. These hooks are adjustable and that's why they fit onto almost every rear carrier. This ensures that this double cyclebag is always fixed in a stable manner. Moreover they are easy to use: the cyclebag is always mounted on or taken from your rear carrier quickly and easily. Because the carrying strap of the Willex Bisonyl Compact is open at the top, you can still use your carrier straps when the double cyclebag is mounted onto your rear carrier. You can therefore always make optimal use of your rear carrier. 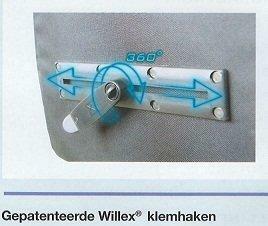 Because of this opening it's also suitable for bikes with LED lighting. Easy to fit - seem to be pretty waterproof. I think they will accommodate a small supermarket shop! These panniers are nice and robust, and can hold plenty in either side. The pvc fabric they're made from is good quality and looks like it will stand up well to the knocks and scrapes of daily use. I leave these panniers attached to my bike all the time and they're really simple to chuck things into. The flaps close via velcro, so there's no need to fiddle with buckles or straps. The only down side is that the fixings for attaching them to your pannier rack are rather fiddly. The top is held in place by four straps with loop buckles, and getting all four lined up and tightened properly took some time, but at least you only have to do that once. The lower hooks to hold the panniers to the sides of your rack just don't seem up to the job - no matter how I adjust them, the panniers still slide out of place. Fine if you're taking the panniers off frequently but not if you want to keep them on your bike all the time. 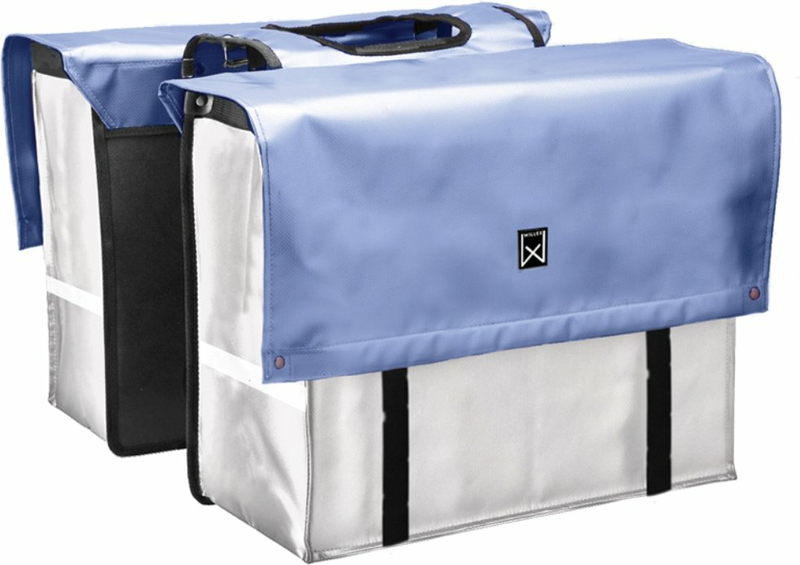 Super nice bicycle bag, enough space to add a grocery bag to it. Very nice that the flaps don't have to be fastened with straps or leashes, but that it works with velcro. Ideal! Easy, fast and the bags are water resistant. I recommend it! Also looks good on my bike with the shiny white. Easy to attach to the bike, plenty of space and it is water resistant for sure.